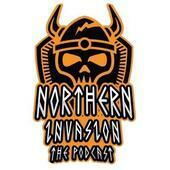 Northern Invasion GT 2019 Northern Invasion returns in 2019 for the fourth time at Common Ground Games in Stirling. Entrants will play 5 matched play games of 2000pts using the army selection rules from the General’s Handbook. Scenarios will be assigned to pools and will be drawn in advance of each matchup. Whilst full details will be included in the draft pack, which will be released in late April, artefacts from malign sorcery will be in play and armies should originate in one of the realms. Realmscape features will not be used as the North Isles weather table will return. Only generals from a specific realm can use the command abilities associated with the realm and only wizards from a given realm will know spells from the malign sorcery expansion when battling in their realm (generic realm spells from the core book will be known by all casters when operating in a given realm). Realms will be determined randomly before each game and each will only be used once. If the malign sorcery expansion is superseded before the pack is finalised in mid-June, it will not be used. Tickets for the event will be released as follows: 1. Patreon supporters can acquire tickets from 15 December (podcast patrons will receive a 10% discount) 2. Previous entrants can purchase tickets from 15 January. 3. Remaining tickets will go on general sale on 1 February. tickets cost £35 including lunch on both days and donuts to get you going each morning. A maximum of 50 tickets will be available, although a reserve list will be established once the event is sold out. There will be plenty of prizes and the free raffle will make a welcome return. We intend to stream Northern Invasion 2019 - further information on this and our sponsors will follow soon. Can you add Spadge and Erik Bews please sir? Afraid you’re going to have to wait for the day... ?